Rappers I.A. 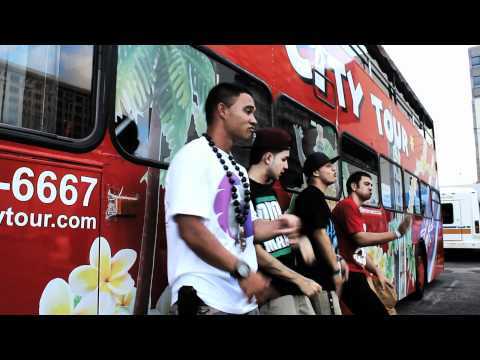 x Broke Mokes dropped the music video for their single “Too Hot” off I.A.’s Flyght 808 album. Take a ride on this Hawaiian party bus with that 808 flavor. The ladies love their look from the kicks to the hat. OSNA of the Angry Locals on the beats for the track and the director of the video. Listen to more I.A. : Boarding Pass mixtape, Take It There, Summertyme, Too Cool (Shave Ice), Loco Moco, Too Hot (lookin fly), and The Jump off. This entry was posted in music on May 24, 2012 by Kevin Hsieh - channel APA.